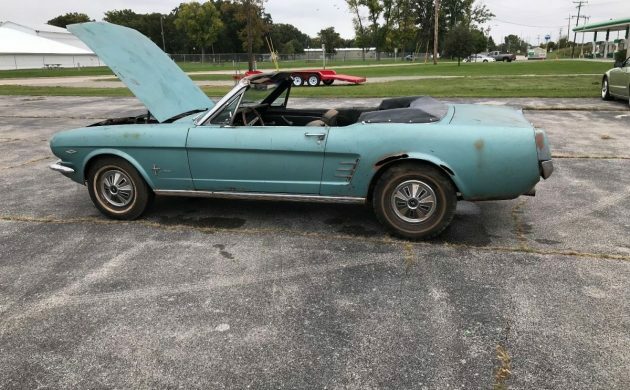 The person selling this 1966 Mustang is only the car’s second owner. The original owner ordered the car in April 1966 and drove it until he placed it into storage in 1974 with the intention of restoring it. He commenced the job, and then it stalled, and the car sat there until it was recently dragged out of hiding by the current owner. He has decided to sell it, so has listed it for sale here on eBay. Located in De Pere, Wisconsin, it comes with a clear title. The seller has set an opening bid of $7,200 for the Mustang. First the bad news: there is rust to be dealt with. Now the good news: the frame rails appear to be intact and in good condition. The floors were cut out as part of the restoration project that was commenced 40 years ago. The carpet has also been removed, so you can see that the rest of the floors seem to be quite solid but has a liberal coating of surface corrosion. The seller also includes a shot of the trunk, and the floor there also appears to be in decent condition. The seller says that the inner rockers will either need to be repaired or replaced. 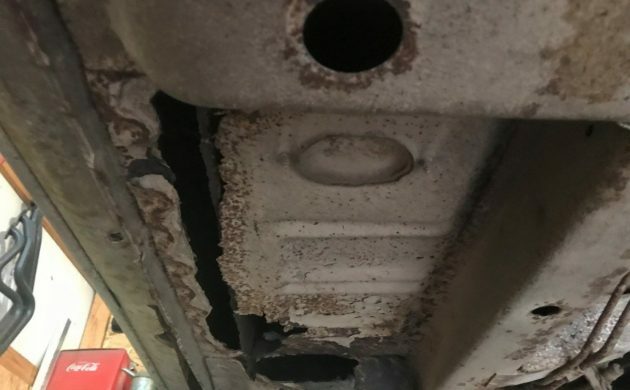 The rest of the underside of the car has a layer of surface corrosion, but it does look to be fairly solid. As usual with a Mustang that is showing rust, nothing works as well as a personal inspection. The rear quarter on the driver’s side has also had a couple of holes cut around the wheel arch to address rust issues, so this will either need to be repaired or replaced. The seller confuses things a bit with his wording in the ad. I’m not sure whether he means that the doors open and close without binding, or whether he means that they do bind when opened and closed. If they are binding, then that’s not a good sign. 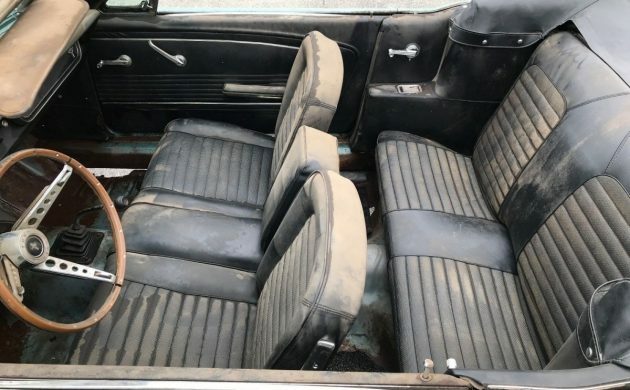 The interior of the Mustang is in surprisingly good condition, and apart from the lack of carpet, is unchanged from the day that the original owner collected it. The original wood-grain wheel is in place, and the original radio is not only present, but it works. I did notice that the door trims are slightly warped, but the seats look like they will respond well to cleaning. The soft-top raises and lowers properly, and while it generally looks to be quite good, the rear window is badly discolored and will need to be replaced. There are no photos of the dash, so we don’t know the actual condition there. There is a bit more good news with this Mustang. The car runs and drives, although the brakes currently don’t work, and will require a rebuild. 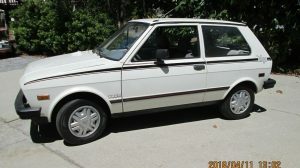 The seller states that the 289ci 2V engine runs smoothly and sounds nice, and he believes that the exhaust on the car was fitted after the car went into storage and doesn’t seem to leak. The water pump will need to be replaced because it is noisy and does have a leak. There is a fair amount of work required to get this Mustang back on the road, and I would want to inspect the car to ensure that it is structurally sound. That question mark over whether the doors bind is a major concern, but if they do open and close freely, then that’s a good sign. So Barn Finders, would you take on this Mustang? Ha, gotta laugh! Typical Wisco garage. Deer mount hanging on the wall with a centerfold next to it. Been in hundeds and with a little luck I will continue to haunt them. No comment on the car, I will let the Mustang gang work it over. 8 years and rotted that much ? Wisconsin use tons of salt? The corrosion doesn’t stop after being parked in fact it gets worse. Easily, especially back then. 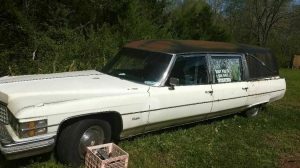 Our ’74 Buick was well down the road to decomposition by 1981. I don’t recall now but the rust probably started after only a few years. Cars didn’t have the same corrosion protection they do now, and car wash technology wasn’t where it is now either. It’s a nice color, and with only 3190 bench-seat convertibles built in 1966, it’s rare in Mustang terms. 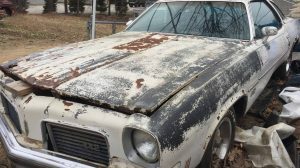 Judging from the photos, the rust appears to be a little lighter than expected for a Mustang that spent 8 years in the rust belt. 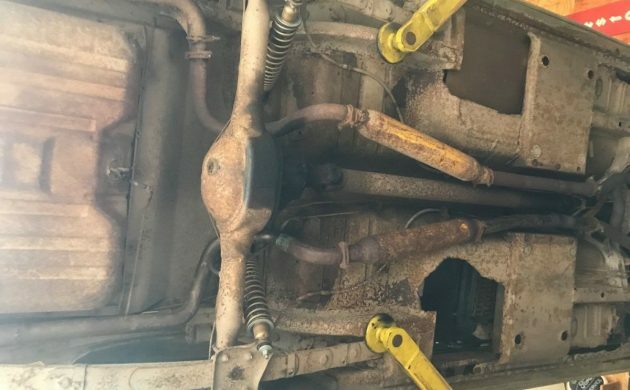 It’s unusual to have solid torque boxes and inner frame rails with such heavily corroded inner rocker panels. I wouldn’t pay $7200 for it, but after resurrecting one far more rusty that this one and converting a coupe into a convertible, I’ve paid my dues, and I’d much rather buy something that doesn’t need so much. 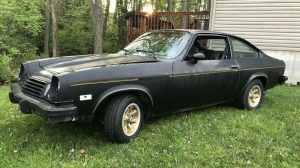 The good news is the repo parts are in abundance and a good welder will put a full pan in and quarters as well as rockers and some frame rails…. I like parts from C.J poney parts myself! New gas tank, and possible interior-if the seats don’t crack or fray from drying out! The full seat is desirable too. The price is way high though ..
It’s a two to three max car if it’s a good day as the running car helps and original engine . I drive a 67 convertible and it was bought cheap as it too was once a rustang ! And I could have had a 65 Mustang convertible in much better condition body wise but not running for just getting it out of my mother in law’s yard. I’m sure I am not the only one with similar memories. Jimmy is correct- those rotten inner rockers are what gives the rustang its longitudal strength. The first sign of weakness here are the doors not closing are bad inner rockers.. They are a bear to change. I did them on my wifes’ 65 Falcon Conv. One whole summer on a rotisserie. Think for a little less buy in money this might be worth it, but the buyer must know what he is getting himself into, whether he’s doing himself or writing checks. Rust bucket! Maybe a parts car….. If you want a Mustang, there are thousands out there for sale, in excellent condition……. I have been working on a 1965 mustang convertible for 4 years.No rust left anymore.I would not start a project like this 66 mustang . It is true ,that you can get the sheetmetal parts,but it takes too much work and time to do bodywork properly. 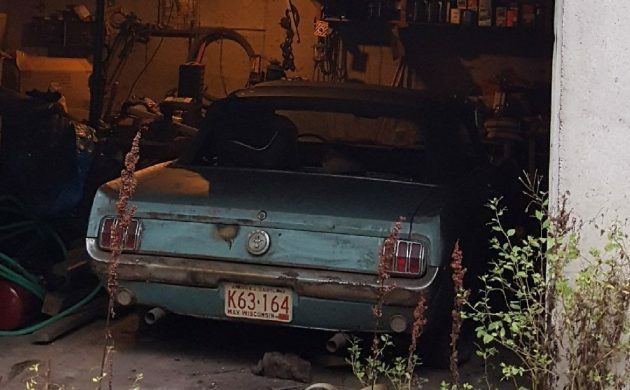 If this mustang in mint condition would sell for 35-45k you would still not get more than 1cent per hour for your work.If you sand blast the body of this 66 mustang you will be suprised how little there is left of it.This mustang is going to need nut and bolt rotisserie restoration. Sitting a bit high in the rear. Wonder if those shocks are about to poke through the trunk pan. You will need a large amount of credit on hand at Mustangs Unlimited, CJ Pony Parts, and NPD to get this bucket on the road (and safe) again. I’ve bought and built out a couple of these with much, much less rust, for much cheaper. Purchase price on the two I’ve had (both 66 convertibles) was $3,500 and $4,200 in 2015 and 2016 respectively. 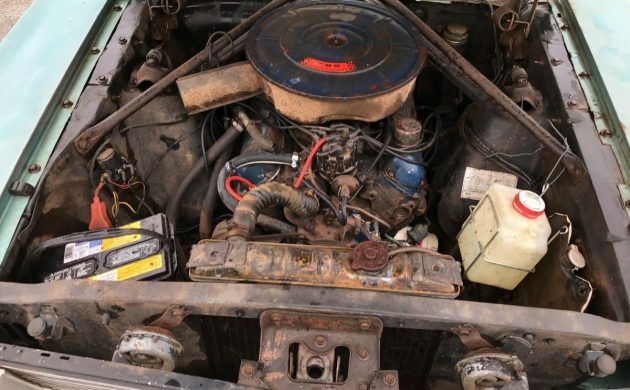 This one, at $7,200, with all that rust, is about $4,000 high in my opinion and has no special options other than the rare bench seat (which in my experience I have never seen add any real value).